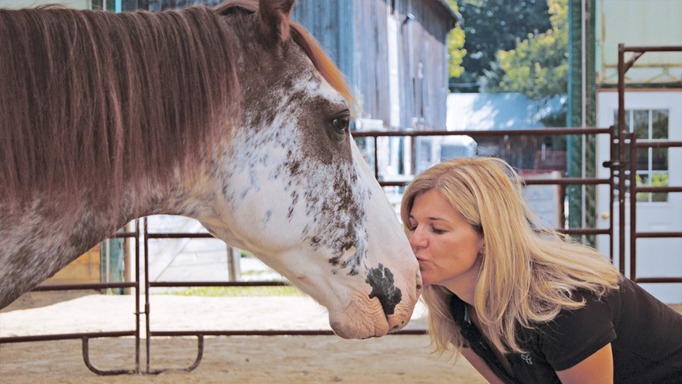 Find out how to use clicker training to teach your horse to accept the bridle happily. If you are having trouble bridling your horse, first check for any physical issues that might be the source of the problem. Next, check your bridling skills. Do you fold his ears over or bang his teeth with the bit? Has he always been hard to bridle, or is this a recent development? Maybe he is not happy about what happens after the bridle goes on? You will need to address these issues first before re-training for bridling. Let’s assume there are no health issues and he has always been a bit difficult to bridle. How do you proceed? Begin by reviewing targeting with another object first. Have your horse touch it with his nose and click and reward. Once he is eagerly targeting, withhold the click for just a second. Those of you who have played with targeting will have found that if you start to withhold the click after your horse touches the object, he will often try to lip it or even bite it. This is exactly what we want from the horse with bridling issues. We want him starting to lip the target. For the first lesson or two, this is all you will do with him – simply get him eager to put something in his mouth. When he is doing this, you can proceed to using the bit as his target. First, strip down your bridle. Take the noseband, browband, chinstrap (if there is one) and reins off. This will make things simpler for everyone to start with. If you want, for the first few lessons, you can just use the bit by itself. I will often start with a rubber bit until he gets the idea of opening and closing his mouth, so he doesn’t bang his teeth on a metal one. I usually start the bridling lesson with the horse free in a box stall, and do some regular targeting. Hopefully, by this time in your target teaching, you will have attached the cue word “touch” to the action. Remember, you should only attach a cue to a behaviour if you know it is going to happen (cues are predictors of behaviour). After the horse is touching, and hopefully lipping or biting at the target, you can substitute the bit as the target. So, now you are going to hold the bit up for the horse to target. After he is targeting his nose to the bit eagerly, you will withhold the click, for just a second or two longer, like you did with the other target, to see if he will try lipping or biting the bit. Click and treat for any increase in lipping. Make sure you take the bit away after each click and treat and present it again after he’s finished the treat. If he offers to take the bit in his mouth that is even better. He deserves a click and a big treat for that one. Do not try and force his mouth open by putting your thumb into his mouth in the traditional method of bridling, and take your time, there is no rush. Very soon he will be happily placing the bit in his mouth. 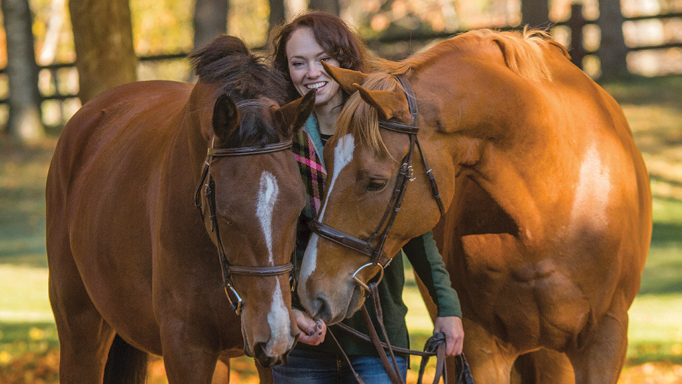 Now, change the position of the bridle so that it is held upright, more the way it would be for “regular” bridling. Repeat having him target the bit. He may be hesitant. 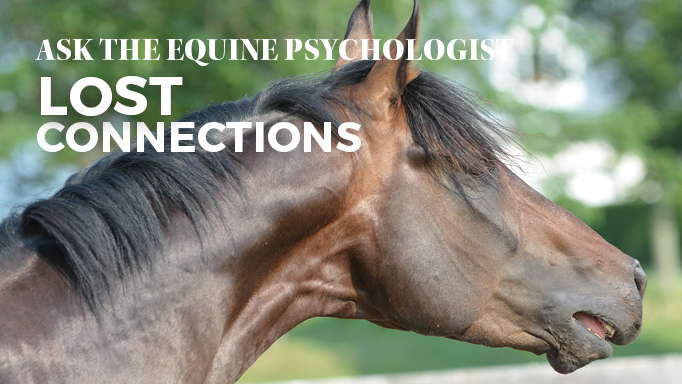 Remember, when you change the criteria (asking him to target with the headstall in a new position) you must expect a decrease in the behaviour (willingness to touch/mouth the target). So, make sure you click and treat for just touching to start with, until his confidence has improved. Take your time and do this over several sessions. He will process in between and be even better the next time you have a session. If your horse’s ears are the issue when it comes to bridling, this should be addressed in a separate lesson. You can also use targeting to solve this problem by getting him to target his ear to your hand, or you can teach it with the “Can I touch you here?” game. Either way, make sure you are gently pushing his ears forward under the bridle, not pulling the headstall over them uncomfortably. If you use the targeting lesson for the ears, remember that he needs to move his ear towards your hand, not you move your hand towards his ear. Semantics perhaps, but the horse sees it differently. 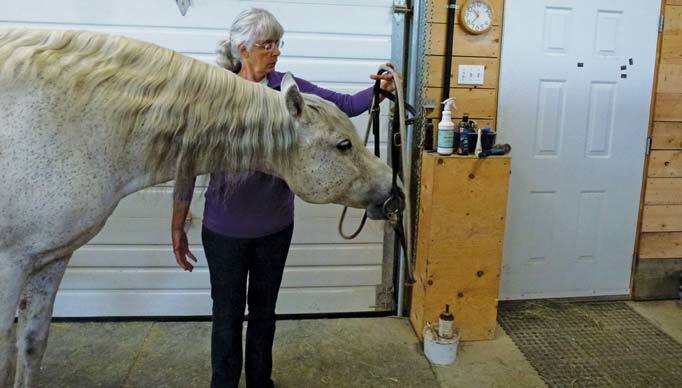 If you are going to use the “Can I touch you here?” game, remember not to go over threshold and cause your horse so much stress he cannot deal with it. To play the game, see if you can touch his neck, click and treat. Can you touch his cheek? Click and treat. Monitor his reactions to see if it is too much for him. Can you get close to his ear by the poll? Can you touch his ear? Try and find out where the limit is regarding his ear. Work on this with clicking and treating, and going back and forth between easy touches and not so easy places to touch, all the while building his confidence that it is all okay. Finally, put all the steps together. Hold up your bridle and click and treat him for taking the bit in his mouth. You can either remove the bit from his mouth first by gently lowering it out after the click or just hold it in his mouth and feed him the treat with it in his mouth. Then push his right ear forward and slip the bridle over that ear. Click and treat. Now the left ear. Click and treat. There you go. Pretty soon you will have a horse that bridles himself, (with just a bit of help from you). What a treat! Check out my blog www.horse-canada.com/pony-fairy/resistance-free-bridling for a video of how the finished behaviour should look. 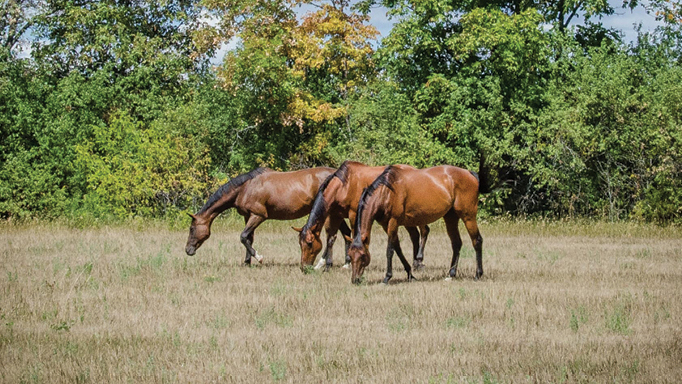 Tips for managing horses in groups and the science behind herd dynamics.